How much of a difference can you make in 8 weeks? With Gather Health, a huge one. Since 2014, Gather has been helping people with diabetes take better control of their health. Today we’re excited to announce some good results! 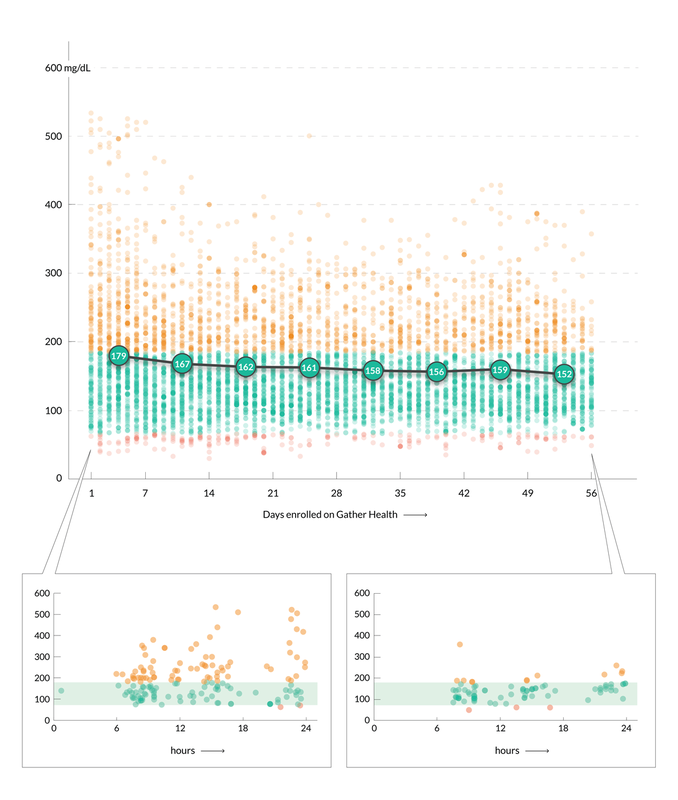 Our newest whitepaper demonstrates high retention, decreased mean BG, and improved Bg control among patients using Gather Health. Data from 1 clinic in Ahmedabad, India from 164 patients was analyzed. 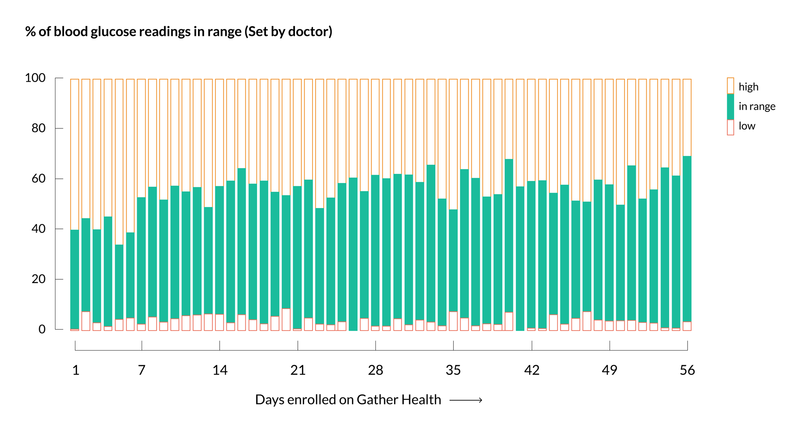 After 8 weeks, 75% of patients enrolled in Gather Health were still actively using the app. Among these diabetics, there was an average 27 mg/dL decrease in mean BG and an 18% increase in ADA-defined in-range readings. Most out-of-range readings were high (83%) and related to either food (64%) or feelings (16%). On average, the practice sent each patient about 1 message per week. Download the full whitepaper here to get more details!